A list of internships, stipends, rankings, prizes and awards. The short fantasy story “Bloedhart” (Blood Heart) placed 20th out of 259 entries in the Belgian Fantasy Battle Bruges 2014 writing competition, and got published in the anthology Fantastisch Strijdtoneel IV (Fantastic Battleground IV). Judy’s zoom in, zoom out writing technique demo scene was one of the five winning entries in the Dutch TenPages Writing Bible competition, and was published in the book De schrijfbijbel; de beste redacteuren van Nederland over het schrijven van een goed boek (The Writing Bible; the Best Editors of the Netherlands on Writing a Good Book). The short fantasy story “Nachtvlucht” (Night Flight) placed 8th out of 218 entries in the Belgian Fantasy Battle Bruges 2012 writing competition, and got published in the anthology Fantastisch Strijdtoneel III (Fantastic Battleground III). 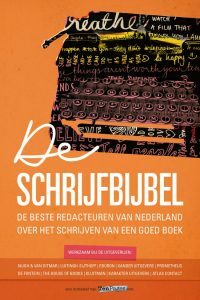 The poem “Droomkoning” (Dream King) placed 2nd out of 452 entries in the Dutch Hillegom Poetry Competion 2012, and got published in the anthology Geheimen (Secrets). The short fantasy story “Steenmeisje” (Stone Maiden) placed 7th out of 277 entries in the Belgian Fantasy Battle Bruges 2010/2011 writing competition, and got published in the anthology Fantastisch Strijdtoneel II (Fantastic Battleground II). During 2010-2017, eight poems landed in the Top 1000 (selected annually out of 10,000 to 15,000 submissions) of the Dutch Turing Poetry Competition. NaNoWriMo (National Novel Writing Month) is a fun worldwide annual writing event during which participants have to write a 50,000-word first draft within a month. Judy is a five-time NaNoWriMo winner. The illustrations for Judy’s children’s picture book Het huis van Lotte Hanoeman (The House of Lily Hanuman) were selected for the Bologna Illustrators Exhibition 2013 by BolognaFiere (International Children’s Book Fair Bologna, Italy), the world’s leading annual children’s publishing event. The contemporary collage-style illustrations done by children’s book illustrator Willeke de Boer under Judy’s art direction, were exhibited in Italy and Japan, and published in the Bologna Annual 2003 – Illustrators of Children’s Books (Fiction). Judy received a start stipend from the Mondriaan Fund (then known as The Netherlands Foundation for Visual Arts, Design and Architecture) for the development of her creative work and business. The Poem “King Josh” placed 1st out of 600+ entries in the Dutch ELLE poetry competition “Ik win je met woorden” (I Win You Over With Words), and got published and reviewed in ELLE magazine. Lauded poet Tjitske Jansen placed 3rd, famous children’s book author Francine Oomen received an honorable mention. The judging panel consisted of critically acclaimed poets and authors Ingmar Heytze, Rob Schouten and Aaf Brandt Corstius. Judy interned as a writer, poet and illustrator at Ploegsma, one of the most important children’s book publishers in the Netherlands. The comic “Püder”, about a rabbit who longs to swim in the ocean but is denied entry, placed 1st in the category “Comics” of Break 21, an international multidisciplinary art festival in Slovenia, and got published in the comic book anthology Break 21.